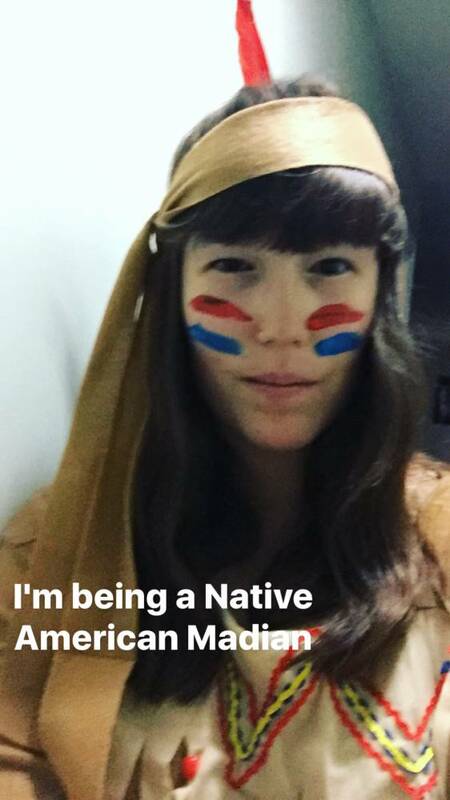 This costume comes with everything you need to get a Native American-inspired costume look. The pullover dress has three-quarter sleeves with a fringed hemline. The three-quarter sleeves are perfect for the cool fall weather and the fringes will be a lovely accent if you wear a long-sleeved undershirt. The front neck drape has a fringed edge with bead trim for added detail. 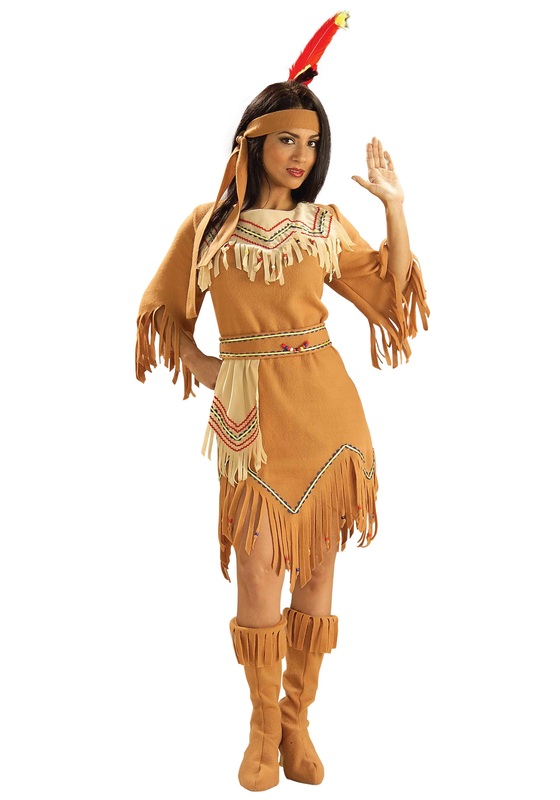 Even more, detail can be found on the hemline and sleeve cuffs, which both have wooden beads. The belt has a front drape and ties at the waist. Complete the look with the fabric headband, which ties in the back and has a feather insert. Add a pair of coordinating boots!